This was my second “getting to know you” storytime of the season. 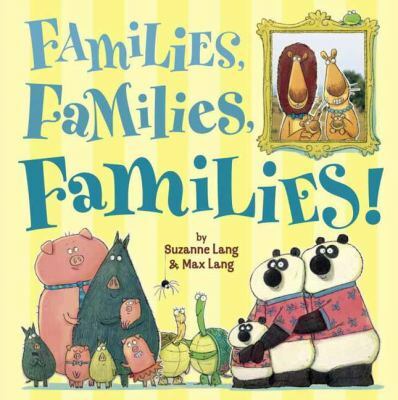 Story: Families, Families, Families by Suzanne Lang. This was again not a super-participatory first book, but the kids made a lot of comments. They were more interested in the plants-as-pets and really-long-whale-grandpa than the families with 2 moms or dads, families with parents who are not married, etc. None of the adults commented on that either; I am still not sure I won’t hear about it later, but we ended up focusing on family as people who love you, which was a good lead-in to the song. Song: “Thank You for All that You Do” by Peter & Ellen Allard (on Sing It! Say It! Stamp It! Sway It! Vol. 3). We sang this without the CD, allowing the kids to suggest family members. We ended up doing mom, dad, sister, brother, dog, and cat. I also taught the sign langue for the family member, plus “love,” “happy,” and “thank you,” and we signed along, which helped it be a little bit more active. Story: Oh, Daddy! by Bob Shea. I think this is one of those books that kids and adults read totally differently, with the kids taking it at face value and the adults recognizing that daddy is very cleverly playing the kid. None of the adults commented on the humor this time, but I know they’ve noticed it other times. 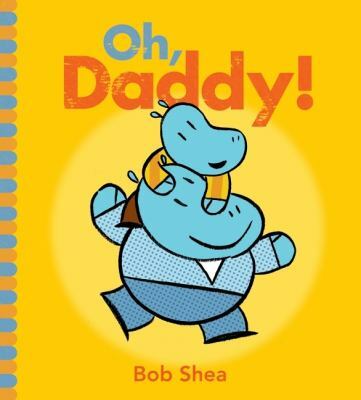 The kids liked saying, “Oh, Daddy!” in full on exasperated tones, so I changed the words to the book a little bit so the kid says the same thing every time. Song: The kids were pretty lethargic, so we pepped up with blowing bubbles and running around to the Kidz Bop version of “We Are Family.” I think everyone had a good time. Book: The Doorbell Rang. One stinker gave away the ending, but it was still super fun. I asked the kids to make a “ding dong” sound when the doorbell rang, which was fun and kept them waiting for that part. I again changed the words a bit to highlight the repetition. They don’t exactly get the division aspect of the whole thing, but they get that more kids = fewer cookies, which is really good enough.